One of the things I love about the Bible, is how often it’s the little guy, the underdog, the longshot who ends up being the hero of the story. David wins against Goliath. A bunch of unschooled fishermen bring the Gospel to the world. The savior of the world is born as a tiny, helpless baby. The story of the Bible is the story of hope being found in the most unlikely places and the most unlikely people. 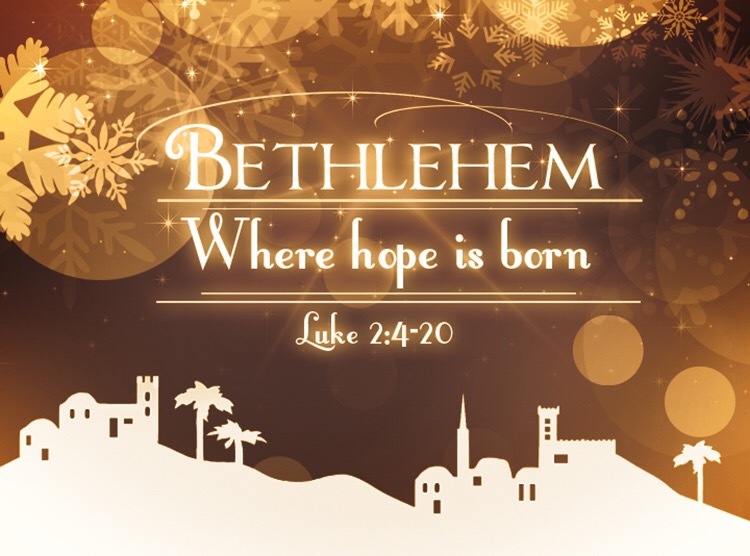 So hundreds of years before the baby is born, the prophet Micah wrote about the ruler who would come from the unlikely town of Bethlehem. Small among the clans of Judah, no one would expect this backwater to be the place where the Messiah would be born. But that’s the thing about hope – sometimes it comes from the most surprising sources. This Advent may you be surprised by hope. May find it in the unlikely cry if a tiny baby born in a unimpressive little town, who would grow to become the savior of the world.